I had a friend visit from the US recently and we combined an order for ColourPop to save on shipping and then she brought them up with her. Yay! This is my first venture into ColourPop and well, doggone it, I'm hooked. I also picked up some eyeshadows and highlighters that I will be reviewing in upcoming posts. 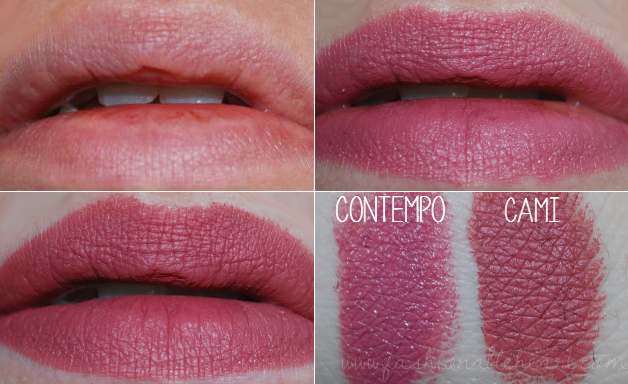 In this post, I'm swatching and reviewing their Lippie Stix in Contempo and Cami. Once fall weather arrives, I start craving mauve lips. I don't know what it is, but I'm drawn to the color more days than not. So I had that in mind when I added these two shades to the cart. They are not that different with Cami being a bit darker. I have been reaching for Contempo a lot recently, as it feels like a great transition shade from summer to fall. But I know I'll be using Cami a lot in the coming months! Contempo is in a Matte finish and Cami is in a Matte X finish. 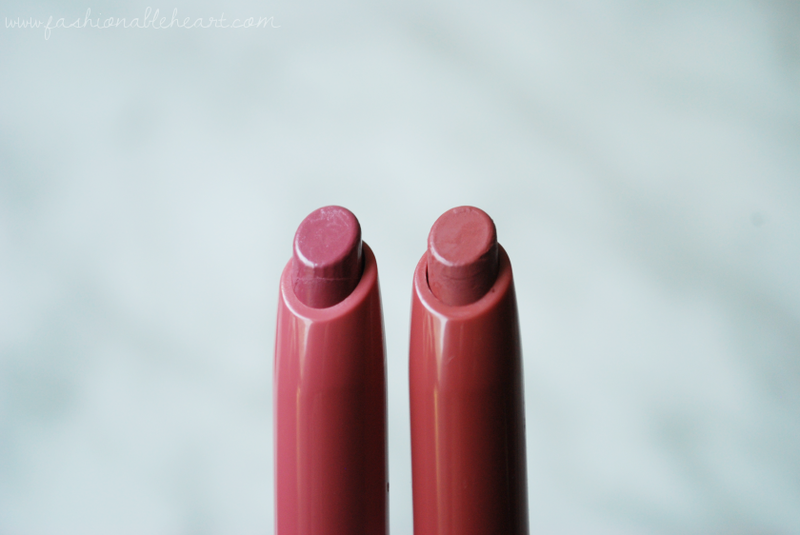 The Matte X finish is more matte, which you can tell in my swatches below. These both go on very opaque and do not feel heavy on the lips at all. Lasting power is pretty good, but I do a touch up after meals. The smell is a bit strange, almost vanilla but not quite. It doesn't linger, though. I think you are getting a great quality lip product for the price. Both Cami and Contempo are priced at $5 US on ColourPop's website, which is currently the only way to purchase from the brand. You can sign up for their newsletter and get $5 off your order. That is what I did, so technically one of these Lippie Stix was free! Not too shabby! 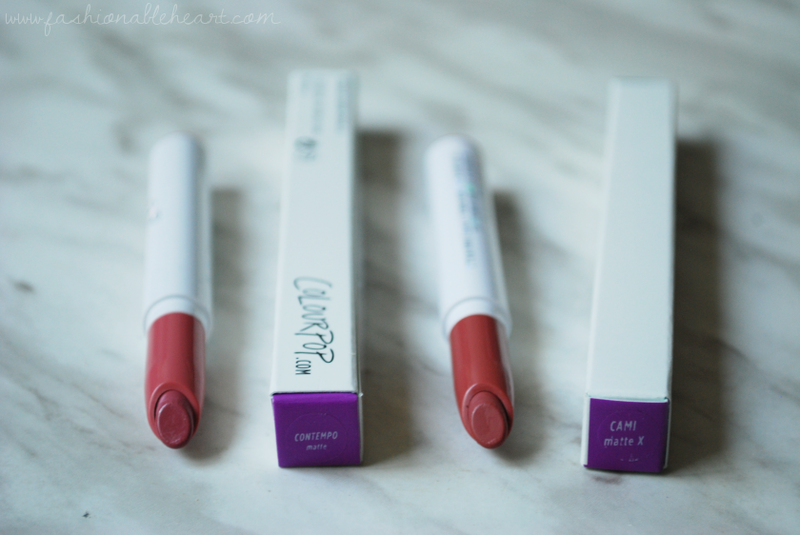 Have you tried ColourPop's Lippie Stix? I'd love to hear what you think of them and what colors you got!